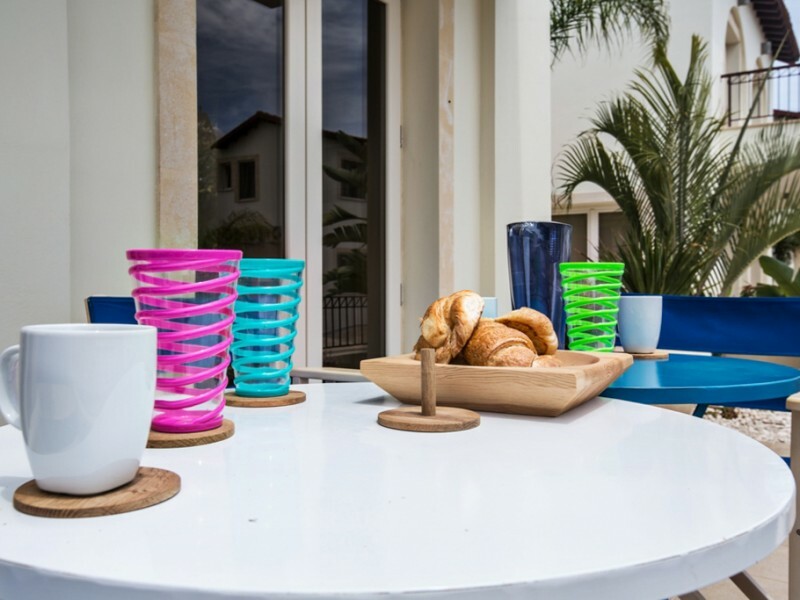 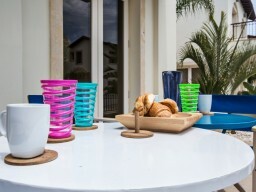 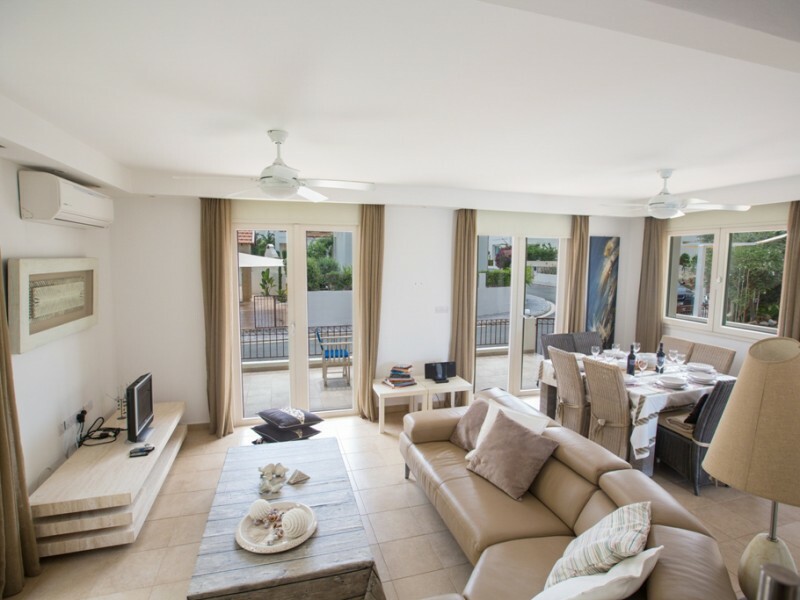 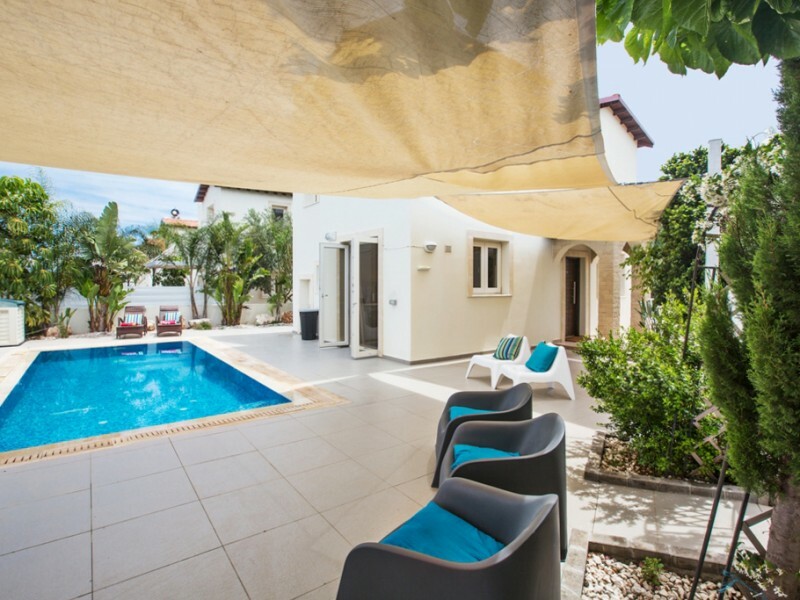 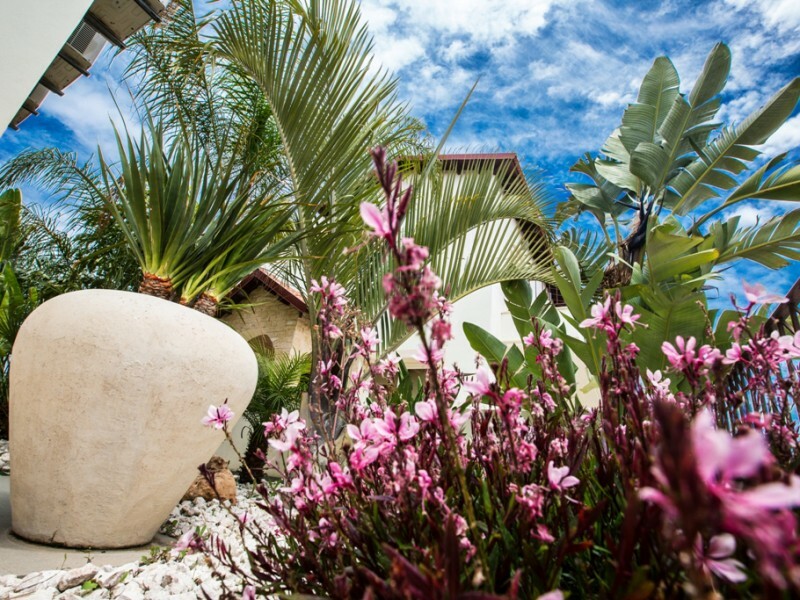 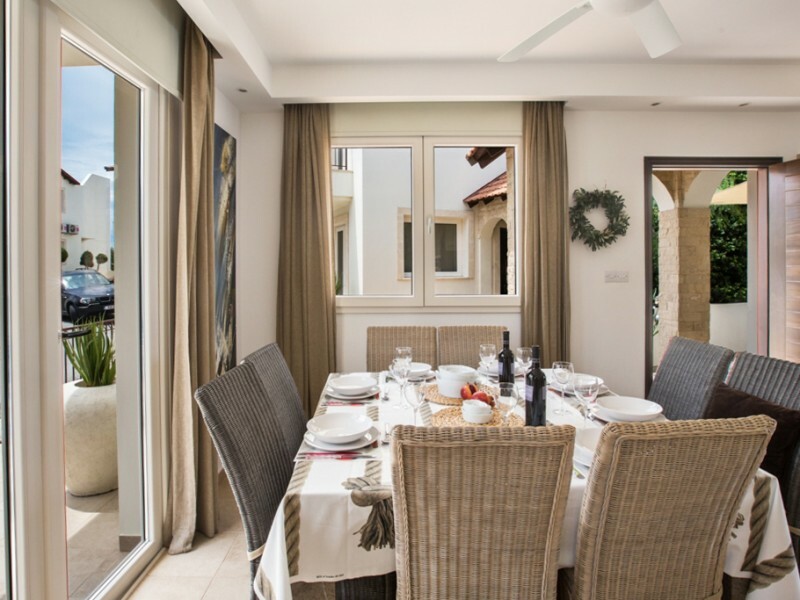 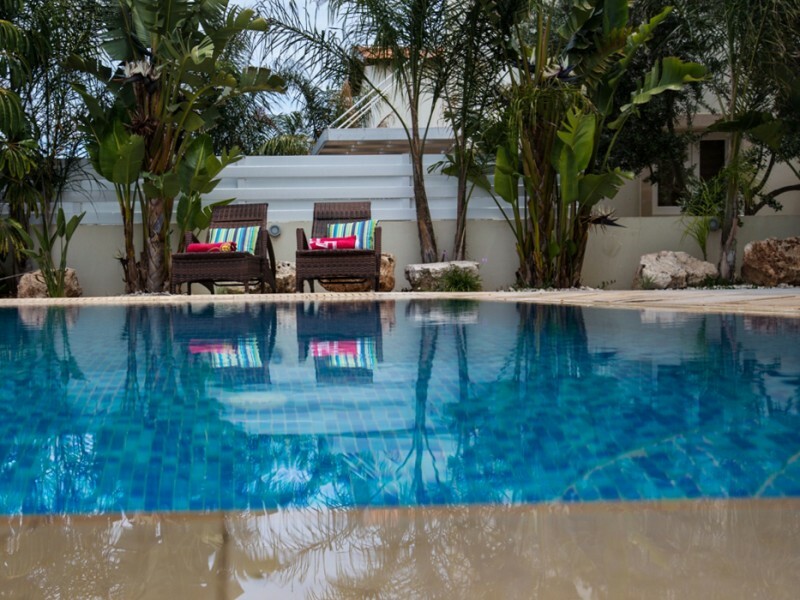 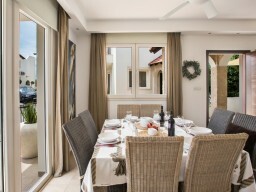 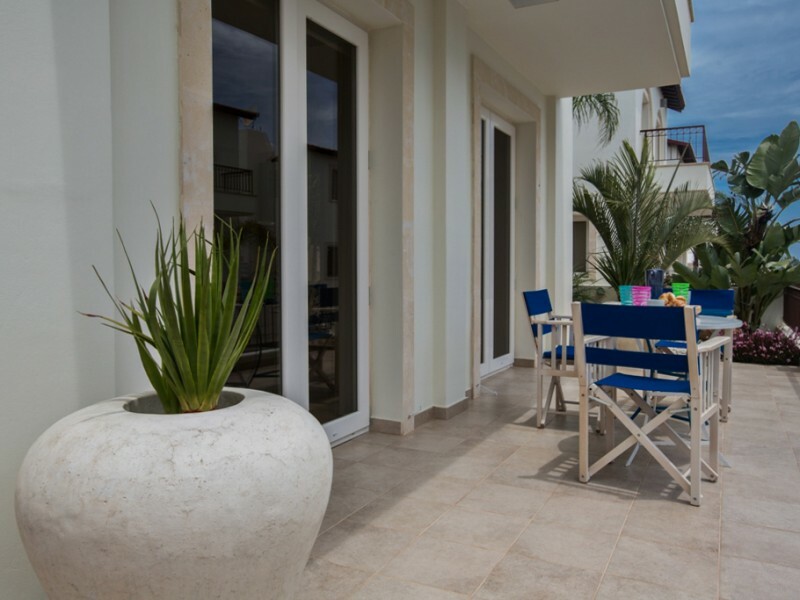 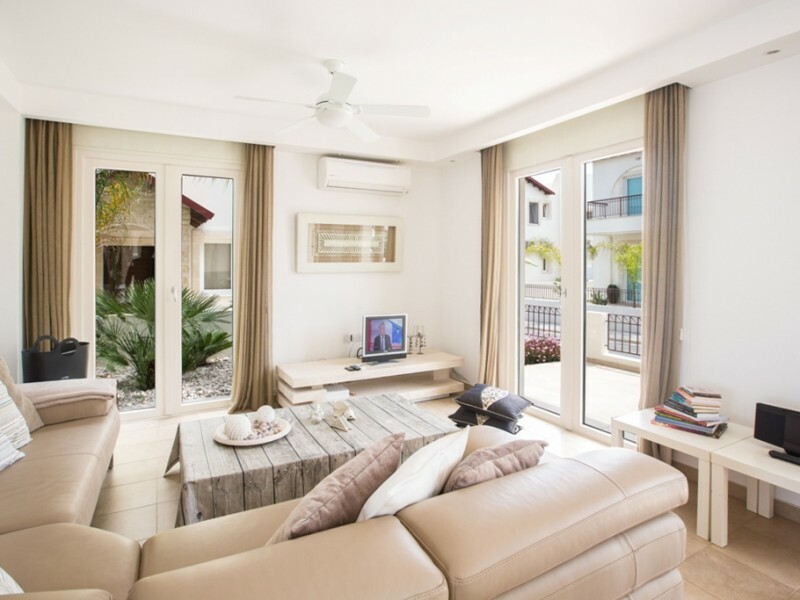 Villa with 3 spacious bedrooms, equipped with modern furniture, both inside and outside. 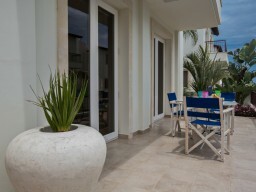 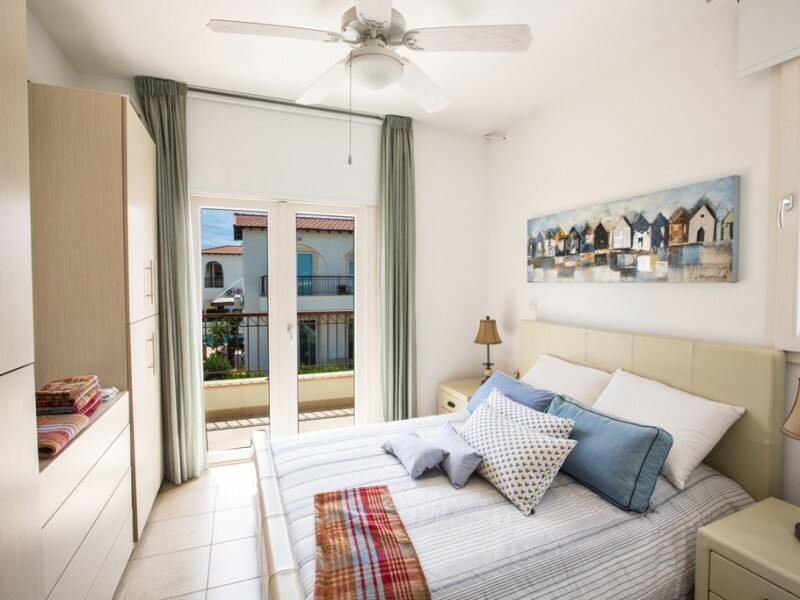 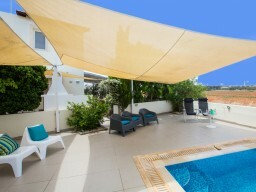 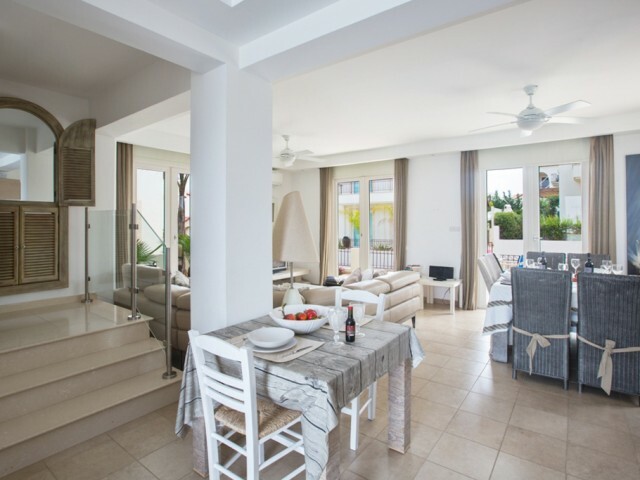 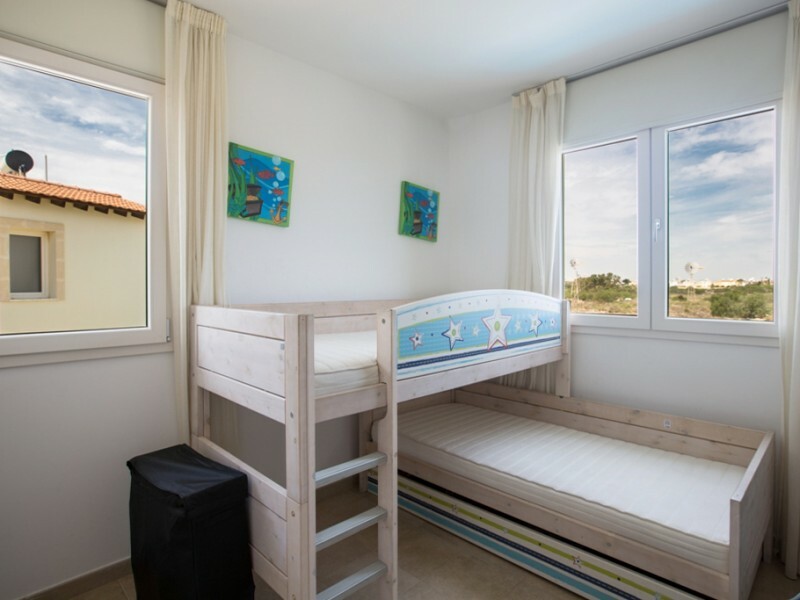 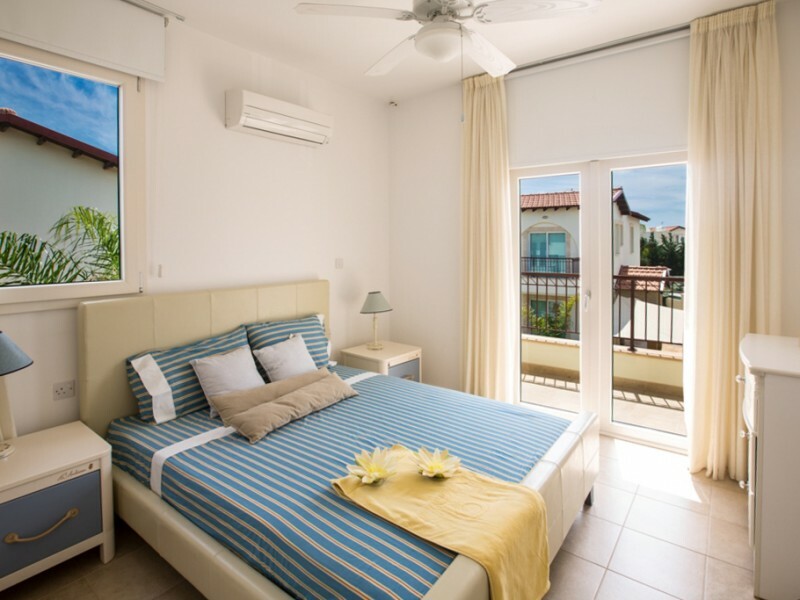 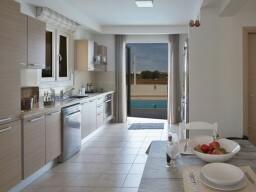 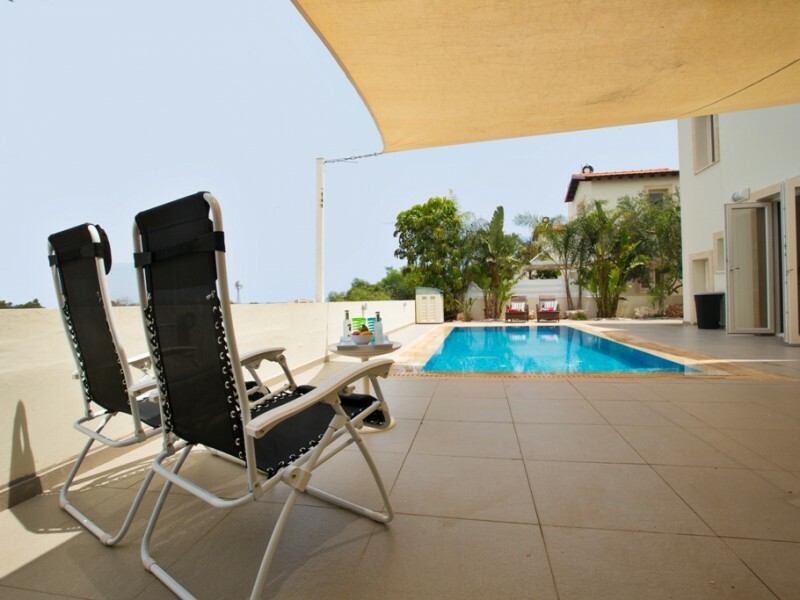 Located in the Pernera area of ​​Protaras, a 10 minute walk from Kalamies Beach and resort center. 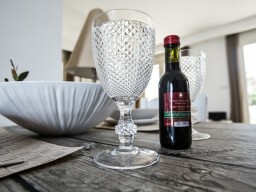 Inside, the villa is both stylish and comfortable. 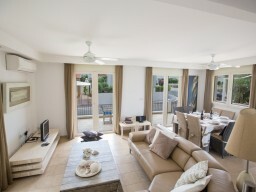 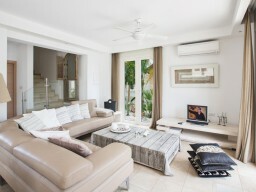 Living area with leather sofas, a widescreen TV and a dining table for up to 8 people. 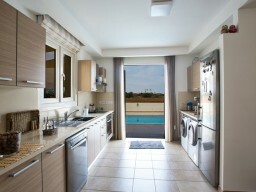 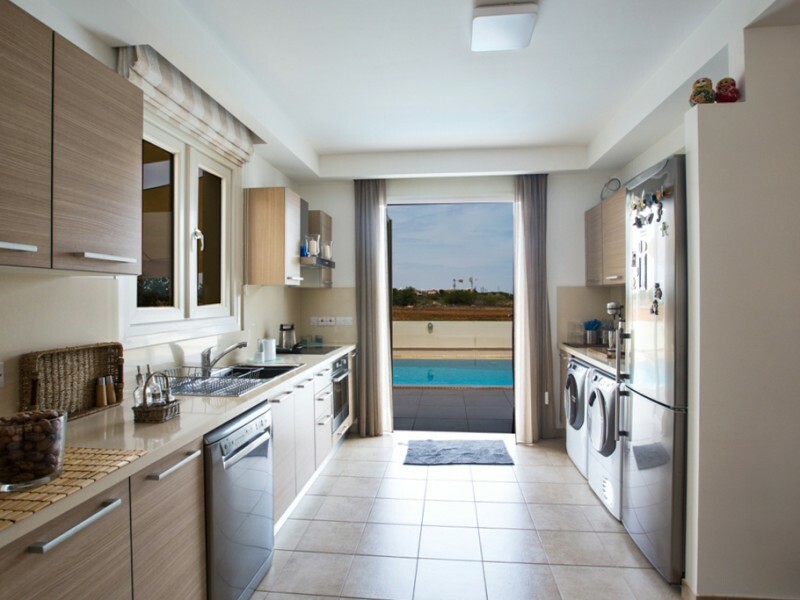 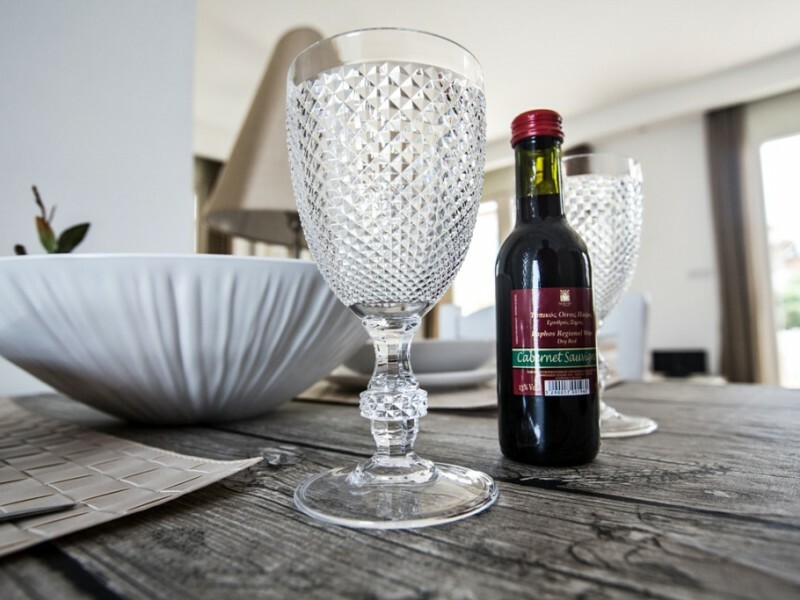 The open plan kitchen is fully equipped with modern appliances. Upstairs, the master bedroom has a double bed and a private bathroom with a shower. 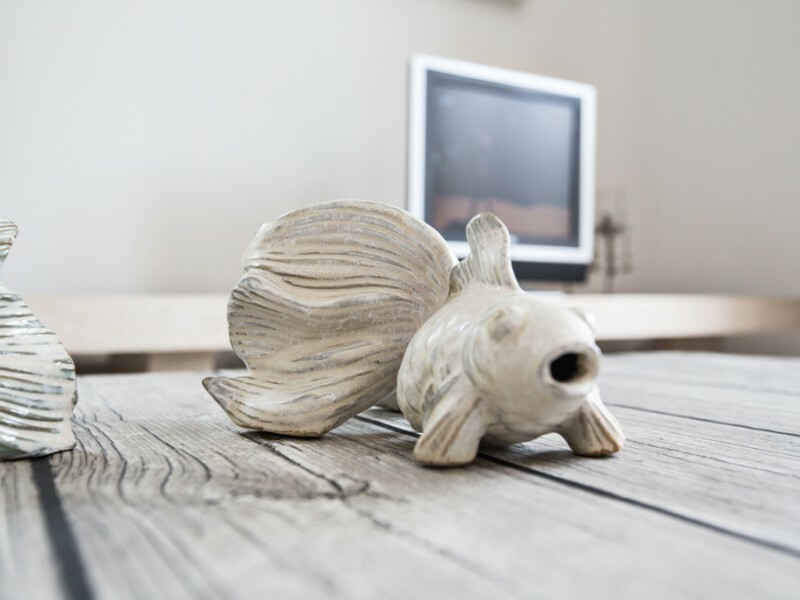 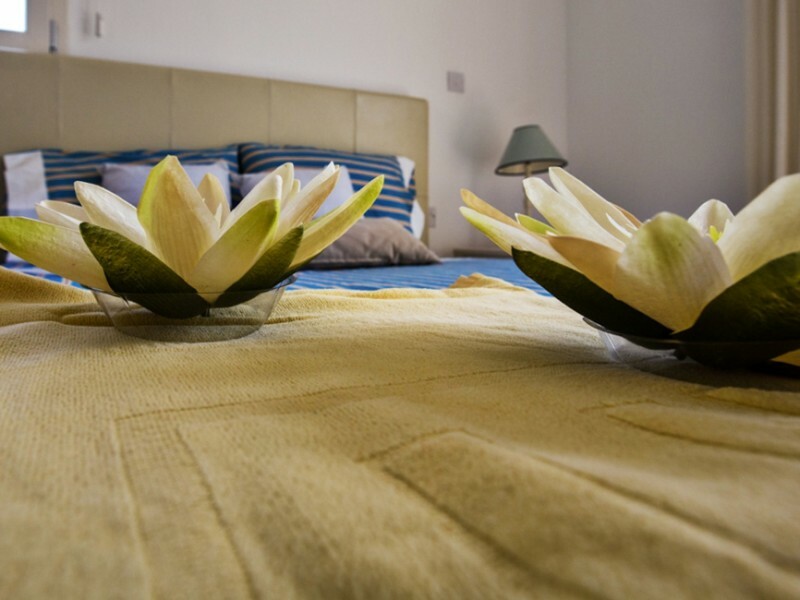 Satellite TV and free wireless internet access in all rooms are air conditioned.